Do you love crystals on the nails? 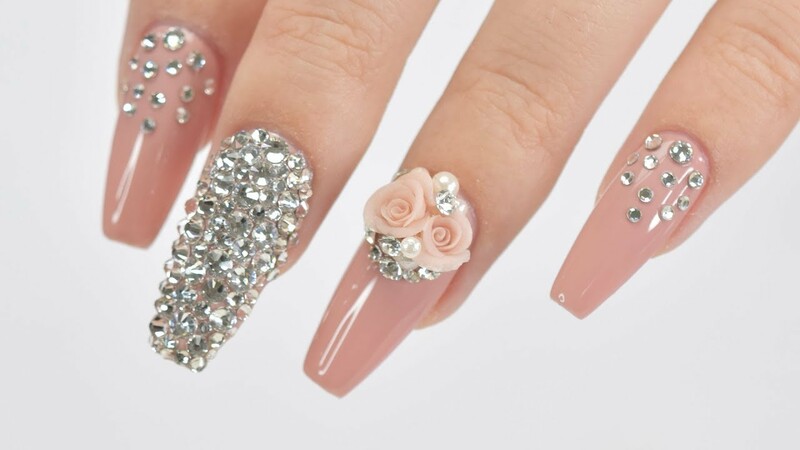 Glittering rhinestones and real crystals give a magical look to the nails, finishing off your manicure for weddings, being a bride or just getting some bling for your nails. Available in various sizes and colours, you can create a number of stunning nail art designs using these bling-blings. But the biggest concern is visiting a nail art salon for getting these done. If you are looking for learning a new nail art style and save money at the same time, here is a simple nail art tutorial that will help you to create a fabulous crystal nail art without any mess. Don't let being a newbie stop you from getting those chiselled to perfection glittering nails. Try this tutorial now! Share your views on the crystal nail with me in the comments below. Do you like it or hate crystal nail art? Do you have any question regarding them? Spill the beans in the comment section!